Our Neurofeedback Treatment for Autism may be the answer you’ve been looking for. There is no specific cure for autism, however, our neurofeedback treatment for autism has proven to help patients immensely, when added to alternative immune interventions and detox therapies. 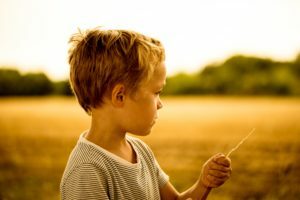 Autism is a neurodevelopmental disorder characterized by challenges with social skills, repetitive behaviors, and communication, while at the same time having unique strengths and individual differences. Symptoms can also coincide with attention disorders, behavioral disorders, Obsessive Compulsive Disorder (OCD), Sensory Processing Disorder (SPD), and others. Signs of autism usually are noticed around the ages of two and three and continues into adulthood. Scientists have discovered that autism can be caused by a combination of genetic and environmental factors. Some cases can be caused by Rubella in the pregnant mother, tuberous sclerosis, fragile X syndrome, encephalitis, and untreated phenylketonuria. Recent studies have validated the concern of past years suggesting a link between neurodevelopmental disorders and the use of thimerosal, a mercury-based preservative used in various vaccines. There is no specific cure for autism, however, neurofeedback is an emerging treatment for patients with autism that has proven its success in scientific and clinical research. Since autism is a neurodevelopmental disorder, brain mapping (QEEG) and Neurofeedback therapy are able to provide observation of functioning and non-optimally functioning brain waves and utilize the brain’s neuroplasticity to rewire a new, efficient, and dynamic patterns. These newly developed wiring patterns applied in specific areas of the brain help the patient socialize, communicate, and behave much better. East Valley Naturopathic Doctors know from experience with autistic patients that neurofeedback indeed improves patient’s lives. If you or a someone you know show signs or have been diagnosed with autism, schedule an appointment today to get them on a road to new discoveries of abilities and future possibilities.